If you’re a bride-to-be, you’ve probably considered that this celebratory, romantic, fun-filled occasion isn’t entirely about you (even though you are, of course, the main attraction) and your soon-to-be-betrothed. Your wedding day is also about sharing your union with family, friends and other loved ones, while offering them a good time and the chance to create fond memories as you and your partner finally make it official. Not to be overlooked is the concept of space planning. You don’t want to cram too many people into a small room; nor do you want to have so much extra space that it feels like half of the guests never showed up. There’s a balance to be achieved, and luckily local vendors are equipped to help make this a reality. Many wedding venues in the area allow brides and wedding planners to bring in items to make the space cozier or more sophisticated — and likely a blend of both. Wedding planners note that nuptials are, simply put, “becoming more experiential” — especially in terms of the aftermath of the ceremony, and particularly in a city known for its hospitality and ability to throw an excellent party. One trend that’s likely here to stay is the idea of personalizing the event space to complement the wedding’s overall theme or vibe, especially the reception area. This can be accomplished by bringing in rented furniture, accents and other décor that reflect your style. Maybe your party space will even feel like an extension of your home as you prepare for a lifetime of domestic bliss supported by your favorite people. 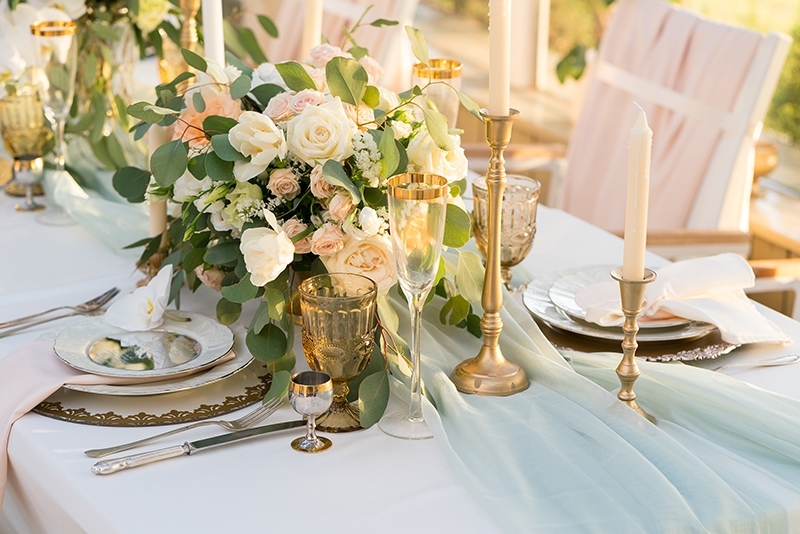 Audra O’Dom of Distressed Rentals and Revival says weddings are obviously a chance to showcase the love of the couple, which can partially be achieved through carefully chosen décor. Picking the right furniture and accessories can also help guests actively participate in the event and not just observe it. It’s not just about being aesthetically pleasing, but it also is, of course, functional, as guests mingle, dance, dine and sip throughout the night. If you choose wisely, they will feel comfortable and relaxed during the festivities, and that’s what everyone wants. O’Dom’s business has a showroom but she also gets a lot of her clients through the company’s website, which showcases a huge selection of inventory, allowing couples or wedding planners to conveniently place orders. The company, which provides a chic array of vintage furniture and rental options, operates under the philosophy that feelings created by experiences are important, and it provides items including bars, styled lounges, wooden tables, vintage tables and dressers — which can make for stylish stations for the cake, guestbook or favors. O’Dom also notes that she is big on “staying in her lane” while working with a variety of vendors — she solely focuses on furnishings. Belinda Belk of Blue Gardenia Events designs special event spaces and coordinates with a network of local vendors, including furniture and décor rental companies, such as the aforementioned Distressed Rentals and Revivals. “Selecting specific pieces or collections not only makes the event feel unique and customized, but it also promotes flow and conversation and keeps movement going around the room,” she says. Both these experts note that brides have tons of options and that it’s easy, but unnecessary to get overwhelmed. O’Dom says that brides should hire trusted professionals and let them run with their ideas instead of getting overly worked up about details. While the bigger furniture pieces will fill the space, the lighting and small details will also help set the tone. Belk says that she loves helping brides design their dream spaces, and giving them “layers and texture” as she incorporates different fabrics, smaller furniture pieces (including coffee or end tables), rugs and throw pillows. While the décor and seating is of utmost importance, these experts also say that brides needn’t become too overwhelmed with the variety of options. O’Dom notes that a good wedding planner will know the bride’s taste and understand the dynamic of the couple and should be able to assist tremendously with selecting personalized items. Belk also says that there isn’t a particular style that is dominant right now; rather, the trend is to make it reflective of the couple, whether you’re traditional, Bohemian, minimalist, colorful, extravagant or eclectic. However she believes that showcasing warmth is important, especially in a New Orleans setting. She loves to incorporate decorative lamps and and other accessories that make it feel “finished.” Simple additions to the space also include florals, votives and framed photographs. Belk also notes that when bringing in rented items, one needs to be conscientious — not just about how the guests will perceive it, but for the actual rental space itself. If you are renting an historic space, “you have to respect it,” she says. There will be people coming in and out and there will inevitably be some wear and tear.” Keeping this in mind, she says, has given her a good reputation in the wedding industry. “We never have trouble with venues, because we always respect their space,” she says. She also encourages brides to examine the logistics it could entail — which includes paying attention to elevators, narrow doorways, stairwells and the like. She points out that if you are having a wedding outside, consider bringing in a protective layer to cover the furniture with beforehand — because New Orleans is humid, the furniture items can become dewy before the party begins, so keep it covered until the time is right. No one wants to sit on a wet couch, she laughs. 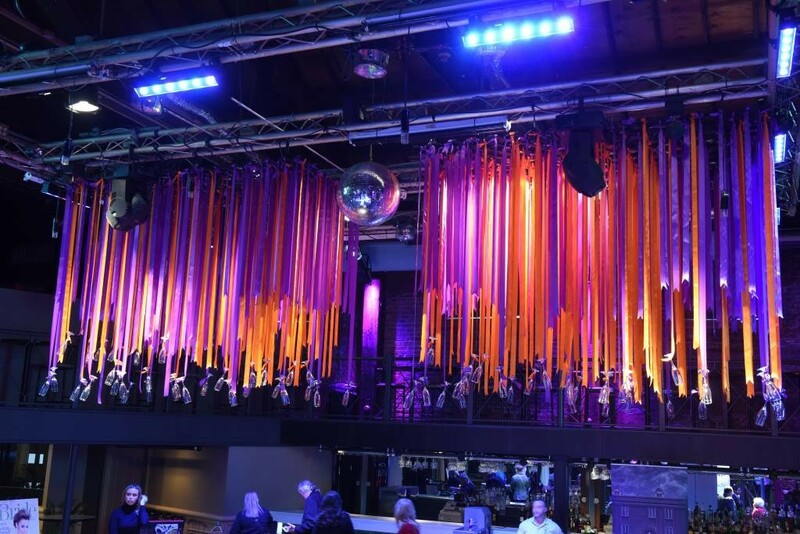 O’Dom also notes that venues often have taken a liking to the event rental companies, because it allows them to showcase the versatility of their spaces and the wide-ranging needs they can accommodate.